The Federal Deposit Insurance Corporation’s (FDIC) Division of Information Technology (DIT) provides information management and technology solutions to enable the FDIC to maintain stability and public confidence in the nation’s banking system. As it relates to the Information Technology area, the FDIC has evolved to a more efficient performance-based business environment. Services are provided by a set of prime Contractors, fully accountable for integrating and delivering world-class IT services and performance to the FDIC and its customers. 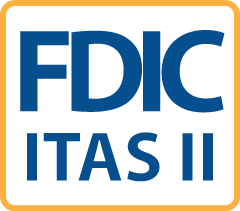 ITAS II provides “cradle to grave” Information Technology (IT) services that are adaptive and flexible as the FDIC evolves. These services cover the high level areas of leadership, new product/service development, enhancement, maintenance, and production support.